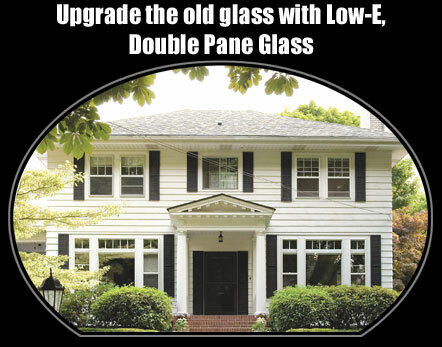 Preserve your home’s original wood windows and replace single-pane glass with energy efficient. Low-E, insulated, double-pane glass. Maintain historical authenticity and save energy! Our patented Bi-Glass System® is now available in Northern California! With over 15 years of successful historic restoration work on the East Coast, this system has been used to replace the glass in over 11,000 windows. Our trained specialists make it happen “on-site” with a complete mobile workshop. Serving all of the Bay Area and Sacramento Valley. You know the beauty and value of wood windows - now you can keep them while benefiting from energy efficient glass.